Alexa Rankings can also help you for different other purposes. If you are a blogger then be prepared as, whether it’s Webmasters, Advertisers or other bloggers is surely going to keep their eye on your blog or website, so that they can determine your website value or the value of the links on your website and pay you accordingly. If creating a website and selling it is one of your business, then this Alexa Ranking can help you greatly to get a good value for your website. I will keep explaining you in details, as the post continues. 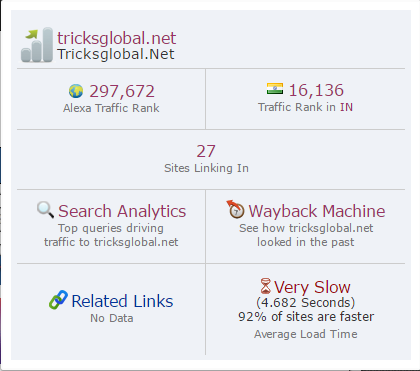 So now let’s see how to Increase Alexa Ranking Easily. 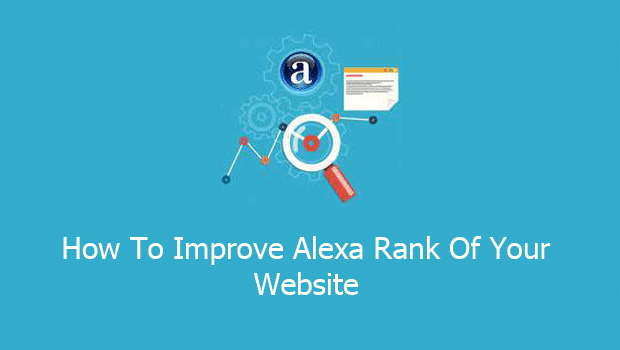 To Increase Alexa Ranking Easily, the first step is to submit your website URL to all of the major Search Engines likes Google, Yahoo, Bing, AOL etc. There are different Online tools that submits Websites to more than 200 Search Directories, but i would say please don’t go for those. Rather do it manually for few directories, so that you get some quality listings. To submit your Website to Google, you can do it here ‘Submit Website to Google’. Content is the King. I know you have heard this in many places, but it really is. A good content will let the visitors stick to your blog or website and at the same time will help you to increase Google Search Rankings and Alexa Rankings too. If you have quality content, it becomes very easy to boost and drive traffic to your blog. So, write quality content or hire a guest blogger. Yes, REVIEWS can greatly solve your problem. Whether it’s a blog, Website or an eCommerce Website, try to attract reviews from the readers and the visitors. Again a quality content will help you to achieve it, but if you need it reviews in your website real fast, then ask or request your friends to help you in this case by providing you with some good reviews. Installing Alexa Toolbar in your browser is very important to Increase Alexa Ranking Easily. If you are using Mozilla Firefox, then you can install the Alexa Toolbar by going to ‘Get Add-ons’ and searching for ‘Alexa Toolbar’. After the results are being displayed install ‘Alexa Sparky’. Your Browser will close at the time of installation once, and once it’s completed you should see your Alexa Toolbar in the top of your Browser. Commenting on high PR websites or blogs will surely help you to increase your Alexa Ranking as well as Google Rankings. You can comment on blogs with similar topic that you have covered in your blog earlier and then pasting your blog post link on the other blog. This will help you to drive traffic as well as engage readers to your blog, provided you have really good contents and this will indirectly boost your rankings. The Alexa Boostup site will help you to solve all the problems of your site and also decrease your Alexa Ranking. It’s a Web based software that will auto surf your website after you register your Website with them. After the registration is complete, just activate the auto surf option and it will keep on giving you hits every minutes, till you close the auto surf option. Once you close the Auto Surf option, you can go through the number of hits you have achieved from the Dashboard of Alexa Boostup.